Last year, when Oilprice wrote about a rush of investments into North Sea oil and gas, it looked like that part of the oil world was undergoing a seismic shift, with Big Oil being replaced by leaner, private equity-backed field operators that Wood Mackenzie said could turn things around. Technology helped, too. Things were looking up for one of the oldest oil-producing regions in the world. Now, the Big Oil exodus continues, and some analysts and industry insiders worry that the recovery of the North Sea may falter in the not too distant future. Recently, there’s been a string of deals in the North Sea: Equinor earlier this month said it had agreed to buy Chevron’s stake in Rosebank, one of the largest undeveloped oil and gas finds in the British section of the North Sea. For Chevron, the deal is part of a larger plan to exit the North Sea in full. Marathon Oil announced it would leave the North Sea, too, and would instead focus on its domestic operations. 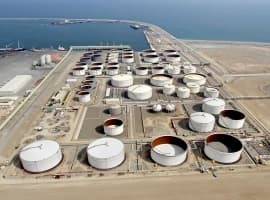 The Japanese deal is worth noting: S&P Global Platts recently reported some in the industry were worried about the exit of Japanese companies from the North Sea. It quoted an unnamed source as saying Japanese investors in the North Sea were fed up with project delays and cost overruns, so they were leaving for good. "Japan effectively made its decision about the North Sea about three years ago. They would say the operations in the North Sea aren't at all efficient. Largely those criticisms were right. In many ways they're still even right now," the source told S&P Global Platts. At the same time, there are all these private equity-backed companies flocking to the North Sea, so all should be good, right? Only it’s not exactly all good. A September report from industry body Oil and Gas UK warned drilling in the North Sea is at the lowest since 1965 and in the near future capacity constraint might emerge across the supply chain. 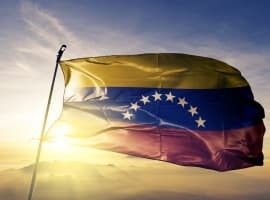 That said, the body also noted that operating costs have fallen by as much as 50 percent and average US$15 a barrel and that production this year will likely be 20 percent higher than four years ago, before the price collapse really hit. The Oil and Gas Authority adds, in its latest industry overview, that breakeven level in the North Sea is now below US$8 per barrel of oil. With falling operating costs and breakeven prices, and with all this private equity money flowing into mature fields and new discoveries, the picture emerges as overall positive for the North Sea. Yet, it could be even better were the government willing to lend a helping hand. Some would say it already did, when it slashed taxes for the oil and gas industry a couple of years ago, but this slashing came too soon after a tax rise in 2011, creating a feeling of uncertainty among delicate investor souls. 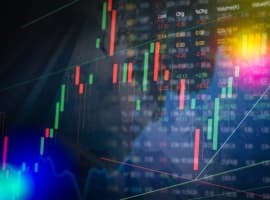 This, according to analysts and industry insiders S&P Global Platts spoke to, means investors are not all that willing to enter the North Sea, at least not the British North Sea. "We've chosen to invest heavily in Norway because of many things, but its fiscal stability is one of those things. The UK and its instability from a fiscal perspective is a massive detractor and will be for others,” says the CEO of Faroe Petroleum, Graham Stewart. The picture for this part of the oil world, in other words, remains mixed. Ive been workin on the Rosebank FEED for yrs..
Looks like the project is goin to end up inthe UK now..